Okay. I like this cover. I do have several problems with it. One- I can’t tell if blondie is Sharon Carter, Valkyrie, or a secret clone of Emma Frost that is not a Cuckoo with better fashion sense (she’s dating Scott Summers, it was bound to happen). I’m pretty sure it’s Sharon. Two- I don’t think Black Widow would have her zipper down that far. She’s a secret agent, not a Charlie’s Angel. Also, BW looks a little stiff compared to the others. 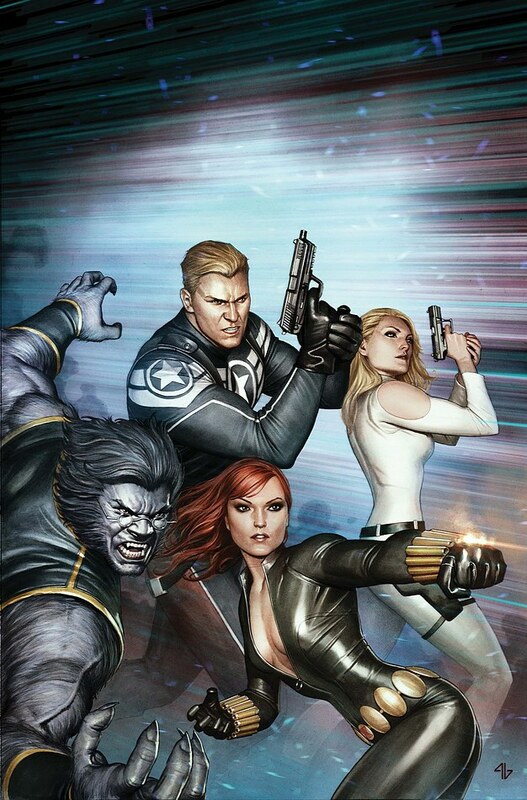 But I like the cover and I like the Secret Avengers.